What’s your vision like? Not seeing clearly is a real problem. Without my glasses I stumble around and can’t find anything. That image is also true of us as a church. If we don’t a have a clear vision we’ll stumble around and be ineffective. Therefore, to help us all see clearly what we’re trying to be like and what we’re striving to do here at the Windsor Fellowship Church we’re going to have a Vision and Mission Dinner on the 21st April. At this dinner we’ll have a great time together as a church family and think about our vision as a church. As a group, we will think about what God wants us to do and how we can work towards that goal. Please put this event in your diary now and do all you can to be with us. It will be in the evening. Other details have yet to be finalised. We’re hoping this Dinner will enthuse all of us to want to be involved in all we do as a church family. Monday 6th March – 7.30pm – Youth Bible Study – A new group for our teenagers to meet to discuss whether the Bible is true and how it might be relevant to their lives. For more information contact Pete Matthew. 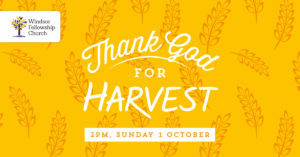 Sunday 2nd April – 2pm – Thank God for Easter – Windsor Youth & Community Centre – A fun, family event which will flow into our normal Sunday meeting. God has done everything for us to be part of his family and has given us every spiritual blessing in Christ. Our job is to live a life worthy of that calling. This is the central point of Paul’s letter to the Ephesians. It’s fair to say it doesn’t always feel like that and that’s because, as the letter made clear, we’re in a spiritual battle. Thankfully, Jesus has won and he’s given us the armour of God to enable us to stand firm. Paul wrote the letter to encourage us to keep going. Jesus has won the ultimate victory and therefore we can, with confidence, live reflecting our eternal identity. Ephesians reminded us that God has given us faith so we know the truth about Christ and are adopted into his family. We have a wonderful opportunity to share that truth over the coming weeks with the imminent onset of Christmas. 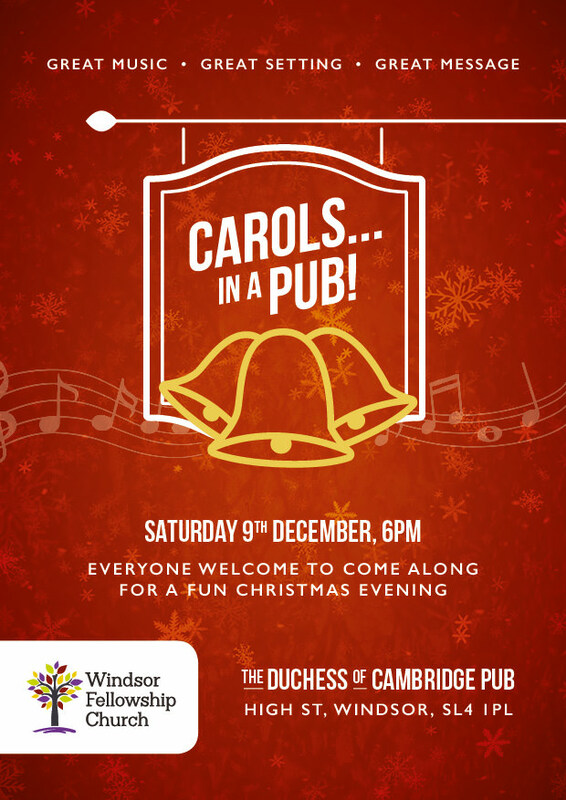 This Saturday at 6pm please bring people along to the “Carols… in a pub!” at the Duchess of Cambridge Pub. Also, bring friends, family, neighbours, people you’ve only met once, whoever, along to the All-Age Nativity at the youth centre at 4pm this Sunday. We’re one family in the church. It’s a slightly crazy thought that Christians are our true, eternal brothers and sisters. We’re a diverse bunch with all kinds of backgrounds, experiences, and nationalities, and yet we are all part of God’s family, the church. As Ephesians has shown us, the existence of the church displays the manifold wisdom of God. 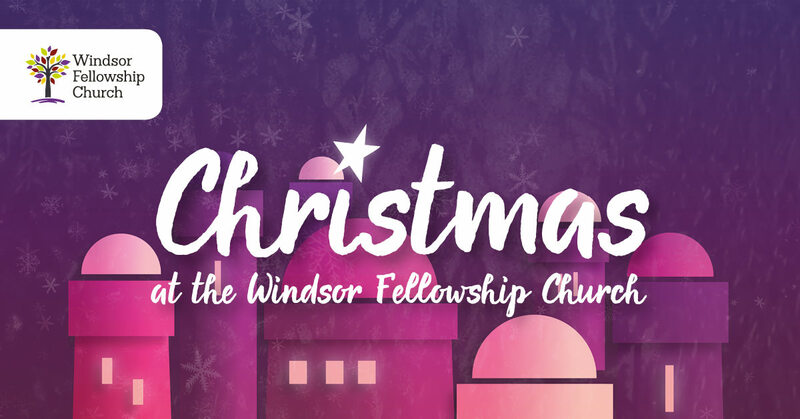 I know when we meet as the Windsor Fellowship Church it doesn’t feel like we’re displaying something as magnificent as God’s own wisdom, but that’s what Paul tells us we are doing. The implications of us being part of God’s own family are vast and Paul spells them out in the rest of the letter to the Ephesians. The big headline is for all of us to “live a life worthy of the calling we have received” (Eph 4:1). He then goes on to explain what that looks like. We need to use all the gifts that God has given us for the sake of our church family to help us to grow in unity and become mature followers of Christ. We’re on a trajectory to full unity and complete maturity as each part depends on Christ and does its work. We’re going to spend the next few weeks at church thinking about what that actually looks like. I’m very excited about our upcoming Christmas events. 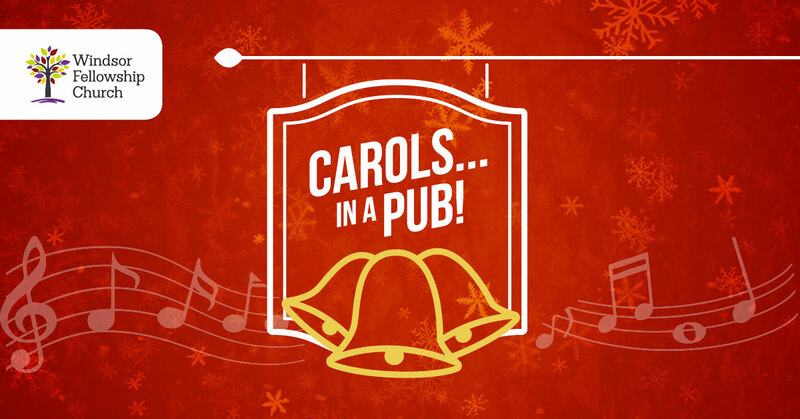 The “Carols… in a pub!” on Saturday 10th is at 6pm and our nativity on Sunday 11th will be at 4pm. Do pray for the planning and logistics of these events. Also, please pray for people to come and think who you could invite. We will have some flyers soon to promote these events. 1st January – New Year’s Day Ramble & Tea – Details to follow soon. I’m really enjoying looking at Ephesians. It’s great to think about all that God has done for us, the church. He has provided the answer to the world’s greatest needs—the good news about Jesus Christ. Division is at the heart of our problems—division between nations, groups, individuals and, ultimately of course, between us and God. The Gospel is the answer to these problems. We were hostile but through the cross, God has healed the division. Now, this invitation to approach God in this way is open to all through the Lord Jesus Christ. Ultimately, that’s why Christmas is so fantastic. Amongst the presents, parties, food, and celebration, the heart of Christmas is that through that baby born in a manger we can approach God with freedom and confidence. (Did you enjoy the subtlety of that link into Christmas?) Next month we have the best opportunity to share this invitation with everyone we know. People are much more receptive to an invite to a church event at Christmas because instinctively they know that the real ‘reason for the season’ is about the nativity story. So, we’re putting on 2 Christmas events. On the 11th December we’re going to have a Children’s Nativity Carol Service at 4pm. 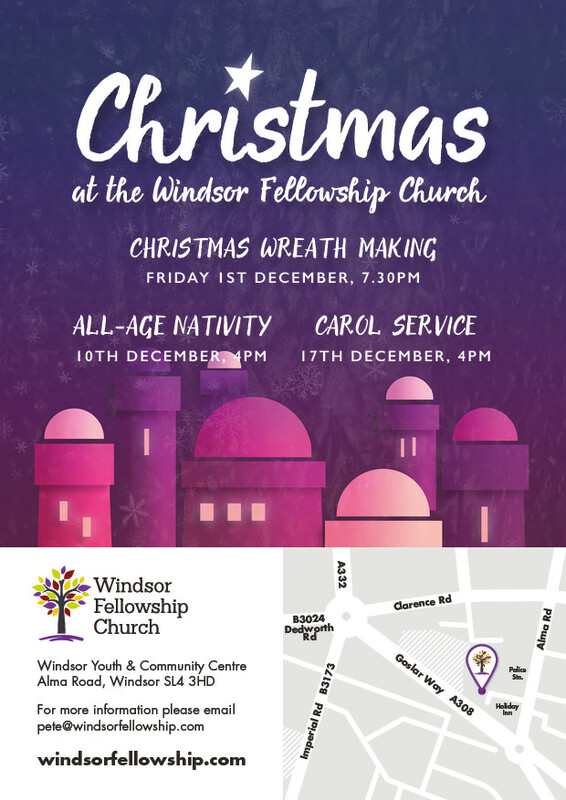 (Previously we had said the 18th, but there are other carol services happening in Windsor on that date so rather than clash we decided to go a week earlier.) 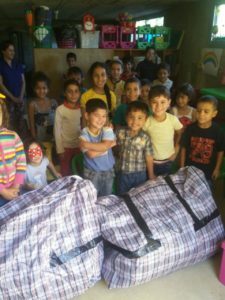 Every child that comes along can take part if they want to. So, who do you know with children who you could invite to come with you? Neighbours, colleagues, grandchildren, invite them all! We’re also planning to do something more aimed at the grown ups. This will either be on Saturday 10th or Sunday 11th at 7pm. We’re still working out exactly what this will be, but put both dates in your diary and start thinking about who you could invite and we will confirm ASAP. Hopefully at church this Sunday.